Mosley looks a little different — but his rescuers think that makes him look even more lovable. When the young dog first showed up at a rural Georgia shelter last month, he was overlooked for several months because there were just so many other dogs available there. The shelter was crowded and busy, and no one really paid attention to him. 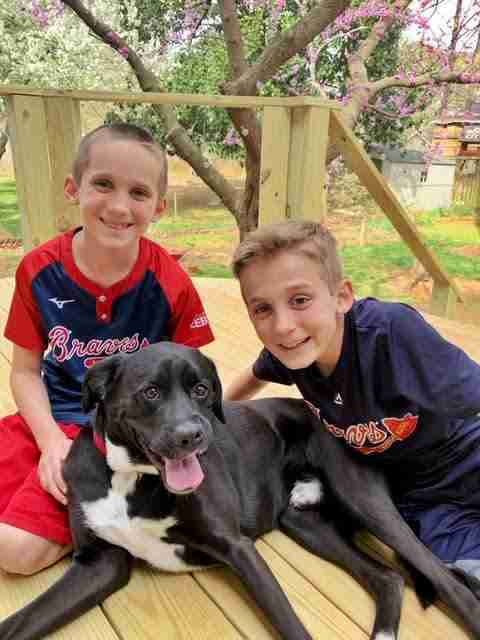 That was until Amanda Harris, marketing programs manager for Atlanta Humane Society, saw his photo online and knew instantly that the dog was special. She left soon after to go pick him up from the rural shelter. 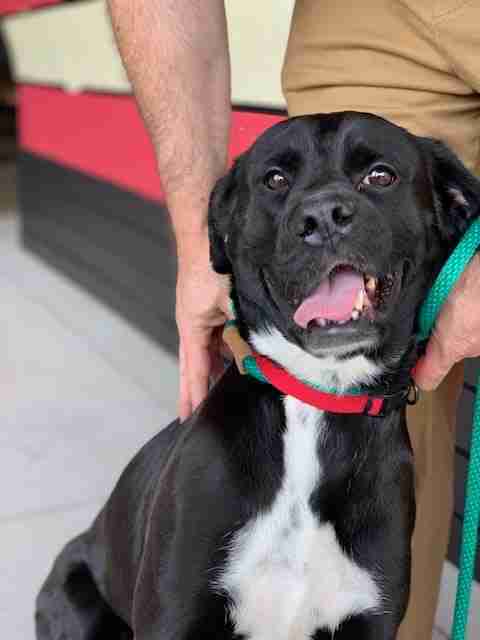 “His crooked grin captured our hearts, and we knew it would help him quickly capture the perfect forever home,” Harris told The Dodo about Mosley. He was undeniably cute — and people on social media thought so, too. While no one knows for sure just how Mosley’s smile became crooked, Harris said it’s likely that he was just born that way. “We took some photos and video of him, and he quickly became very popular on social media, where dozens of families inquired about adopting him,” Harris said. 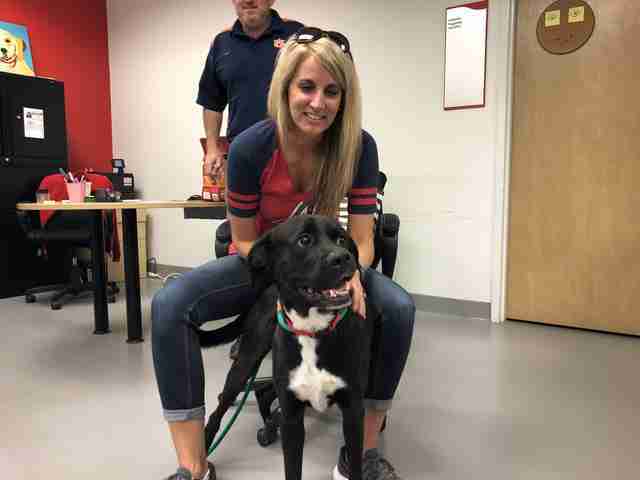 Lindsey Ramsey and her family were among the interested adopters — and luckily, the shelter thought they would be the perfect match for Mosley. The Ramseys adopted Mosley last Friday, and he’s been so excited ever since. He’s even warming up to the idea of having a cat sister. While no one knows where Mosley came from, it’s quite clear he’s chosen just where he will stay: In his new home, with his new family by his side. “Someone even stopped us because they recognized him from that picture that the Atlanta Humane Society posted a couple weeks ago,” Ramsey said. 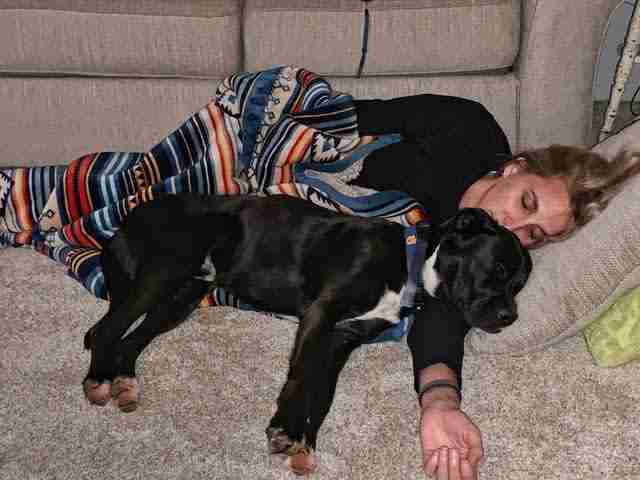 “If we lay on the ground he automatically comes in to be the little spoon … Just adorable!" 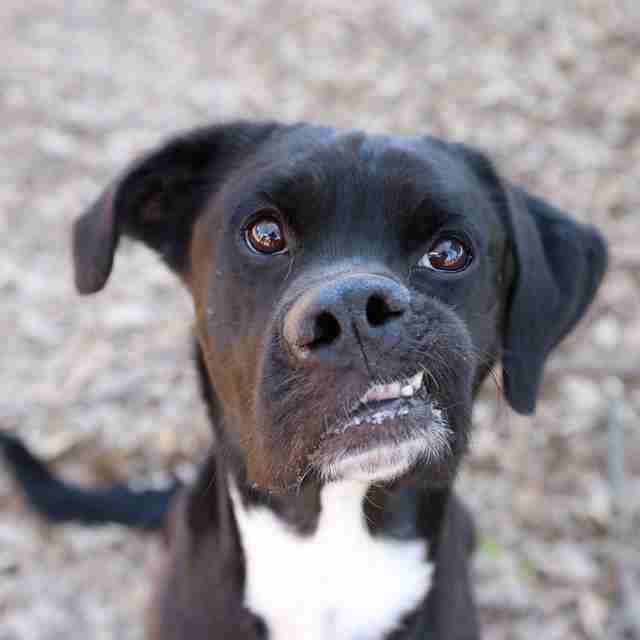 To help more animals like Mosley, you can make a donation to the Atlanta Humane Society.